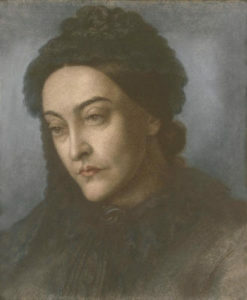 Christina Rossetti was an English poet of the Victorian era. She and Elizabeth Barrett Browning are considered the greatest female poets of their time. Rossetti’s poetry was also famously set in the popular Christmas songs, In the Bleak Midwinter and Love Came Down at Christmas. We feel fortunate to sing Ralph Vaughan Williams’ stunning setting of Rest (text below). The performance of Rest below is by the King’s Singers. This entry was posted in Pre-performance and tagged Evening Song.